Benedictine Abbeys and music are inextricably linked. 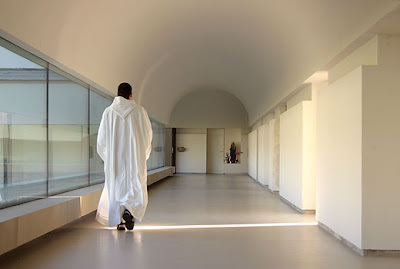 The great churches of the Romanesque period were created to send columns of plainsong soaring upwards and in the 20th century none other than Iannis Xenkais was project director for the monastery at La Tourette in France. 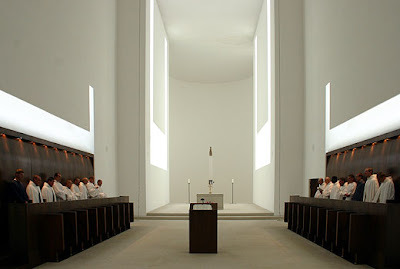 The stunning images featured today show another great new Benedictine Foundation, the new Cistercian-Trappist monastery of Nový Dvůr in Bohemia. The inspirational building is the work of British architect John Pawson. The design of Nový Dvůr combines references from the original baroque farm on the site with entirely new architecture. Although contemporary in style John Pawson's design follows St Bernard's twelfth century architectural blueprint for the Order, with an emphasis on the quality of light and proportion, on simple, pared down elevations and detailing. 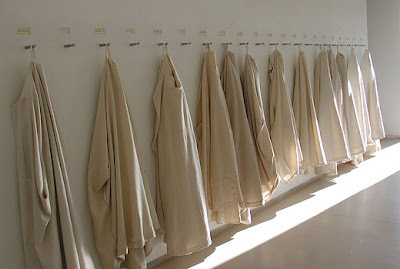 Read about another Benedictine monastery in Pliable's travels. I am secular (or as my family puts it, a Godless Heathen), but there is something about the concept of the contemplative life and contemplative spaces that is appealing. 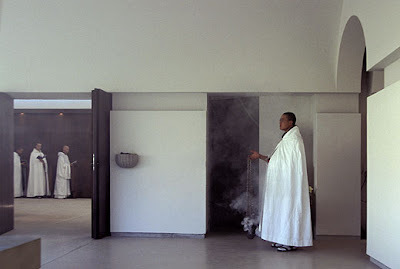 More specifically, I am fascinated by the music written for/performed in those spaces. There's something almost mystical about it, to me, at least. I would be curious to hear some high renaissance choral music in a space like this -- something like the Pope Marcellus mass or similar.